Washington, DC — August 8, 2018 —Amilcar Guzman, member of the Congressional Hispanic Caucus Institute (CHCI) Board of Directors and National President of the CHCI Alumni Association, has been selected as one of 12 Coors Light Líderes of legal drinking age finalist for his commitment to empower the Latino community. Coors Light believes in rewarding the dedication and tenacious spirit of emerging leaders who selflessly work hard to achieve success by helping others. Amilcar Guzman is one of 12 líderes who are competing to become the 2018 Coors Light Líder of the Year through an online public voting competition. 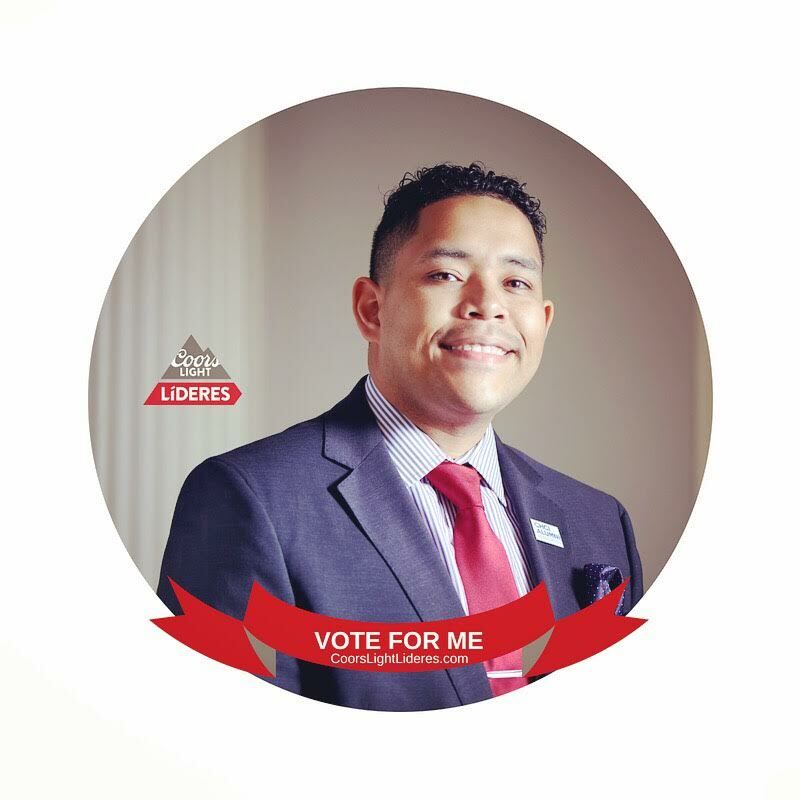 The public can vote for Amilcar Guzman at www.CoorsLightLideres.com through August 31, 2018. The winner will receive a $25,000 grant on behalf of their nonprofit of choice to support their mission and efforts. Voting rules and restrictions at CoorsLightLideres.com apply. Must be 21 years or older. Void where prohibited. Amilcar Guzman was selected as one of the 2018 Coors Light Líderes because of his commitment in supporting the professional development of CHCI Alumni, mentoring young students and advancing the Latino community. Since 2006, the Coors Light Líderes program has raised awareness and highlighted the achievements of national and local leaders within the Hispanic community. The Coors Light Líderes program offers up-and-coming Latino professionals leadership tools, counsel and networking opportunities. Join the conversation at CoorsLightLideres.com, Facebook, LinkedIn and on Twitter using @coorslightlider. Rachel Maddow MSNBC Read the full article here. Comcast Newsmakers Read the full article here.